The UK Referendum result on Brexit has provided us with only one certainty: uncertainty. In the midst of uncertainty, our experience shows that traditional approaches to strategic planning can be downright dangerous. One pitfall is to take a binary view: assuming that the future is either open to precise predictions, or that it is completely unpredictable, and therefore will produce only unpredictable outcomes. Underestimating uncertainty can lead to strategies that neither defend against threats nor take advantage of the opportunities that uncertainty may provide. In our last blog,we wrote about the questions our clients are asking us about navigating the future as the UK plans to exit the European Union, acknowledging that accepting the uncertainty and asking questions is the right place to start. But we also know that facing uncertainty can be very stressful for organizations and the people within them, because it can be difficult to make decisions and judgments in those conditions. It is a time when we have no playbook to follow; we must rely upon our imaginations and creativity as a source of inspiration to cope with what could happen, which is why working together can produce far better results than going it alone. It used to be that predicting the future was fairly straightforward for many organizations; by looking at current trends and evaluating the existing landscape, they could make educated guesses about the future, as if the graph would continue in a straight line. However, because of the necessary confidentiality and evolving nature of the Brexit negotiations, there are multiple uncertainties circling, each with its own rich store of conceivable outcomes. Furthermore, it can be difficult to lead in such probabilistic situations: no one wants to hear, “there’s a 68 percent chance we won’t go out of business,” from their boss. No approach will make the challenges of uncertainty go away, but by using collaborative design thinking, scenario planning, and rapidly testing possible hypotheses to explore the challenge in depth, we can help prepare leaders to make more confident strategic decisions when opportunities and or threats from disruption present themselves. What is Design Thinking with Innovation Arts? When we work with an executive team on a collaborative design session, we stress the importance of working together as a high-performing team (like those of an emergency room, Everest climbing expeditions or Formula One pit crews) to cope with new information. This relies upon building knowledge of an unfamiliar landscape, exploring the need for collaboration and trust, and seeking out opportunities for innovation, to help anticipate what will be necessary to make the right decisions before the actual need arises. Moreover, we like to work with large groups of 50 or more so we can explore as widely as possible, test and discard many different options before narrowing in on the right solution we can build together to embrace what comes. Navigating an uncertain future with an approach that is often new to the team can be unsettling. However, the Innovation Arts process is designed to deliver against the objectives we set together with the sponsor team at the start of the process. Your main question might be, “how do we plan for Brexit?” but by working together, we will also uncover a myriad of other relevant questions that will influence your future direction. Using a rapid-iterative, collaborative approach based on the design thinking methodology, we will uncover the forces driving your current organizational approach as well as the likely probable futures to identify how your system will respond. A useful analogy is how the various harmonies of a complex piece of music would sound if one or more different chords are struck. In a collaborative design session with a client facing Brexit questions, we would encourage them to engage in a scenarios exercise, which would allow them to explore their response to the plausible but unexpected outcomes of the negotiations that might affect their business. In the case of Brexit, this would likely mean understanding which of their structures, frameworks, initiatives and timeframes will be most impacted by Britain’s withdrawal from the EU. After working with the organization’s major stakeholders to understand the basic trends and driving forces in the industry, we would use the information to unearth the key uncertainties in the disrupted landscape. We’d then take the driving forces to the extreme: drastically reduced time frames, radical numbers, dramatic actions—for example, is it possible that a process that today takes twelve months could, in the future, be completed within five days? What would enable that to happen? With whom would you have to work and what would need to be in place? Think about it like training at high altitude for the marathon you plan to run at sea level—similarly, working through a scenarios exercise is about maximizing fitness and readiness for the run ahead. The next step in the process is to work backward to close the gap between that imagined future and the way we work today to start readying ourselves for any eventuality. Working collaboratively on a thorny problem is an ideal way to get a team prepared for a future they can’t quite envision. The Innovation Arts process allows an executive team to practice making decisions based on available knowledge, and to build and test flexible systems to manage future events. Even if a team doesn’t know what to expect from the changing environment, working together will prepare them to face any challenge, identifying what to have ready to cope with any new situation (technology, cash reserves, new ways of working, effective communication systems, etc.). By practicing as a high performing team in a scenarios exercise with IA, executive teams who do not normally work together can have the chance to work through the tough questions and make the challenging decisions an uncertain future will inspire, making them more fit and ready to cope when the actual need arises. For any company working in, or doing business with the UK, this is a deeply turbulent time, full of emotion and predictions about what might happen next. But it is also an exciting time, packed with new opportunities waiting to be explored. It will be impossible to guess the outcome of the ongoing Brexit negotiations, but with careful planning and forethought, major surprises or unexpected disruptions can be avoided, and that is where we can help. If you have questions about how your organization can use collaborative design thinking exercises to be better prepared for Brexit and would like to work with our team, please contact us at encore@innovation-arts.com. You won’t be surprised to hear that Brexit crops up regularly in conversations with our clients, both UK-based and in other parts of the European Union. So far, we have only seen immediately visible, short-term effects, such as the fall in the value of the pound, and the diversion of the majority of UK Government time and energy into the legislation required to leave the EU. 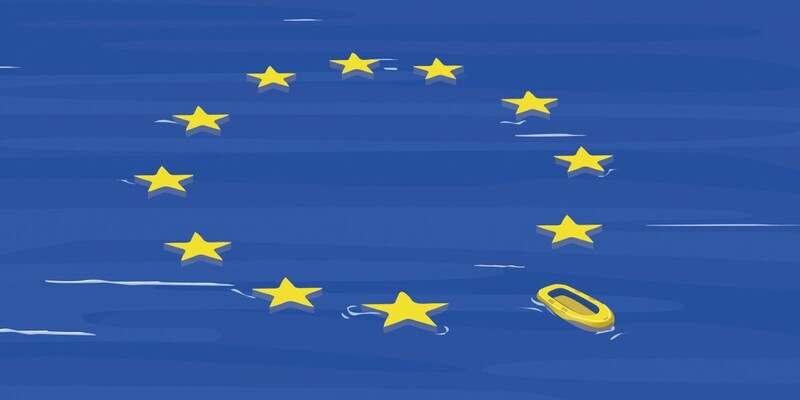 We all have our own opinions on the likely longer term political and macro-economic repercussions of Brexit, but in fact for our clients the most pressing concerns are closer to home, with the decision likely to influence all elements of their business, from strategy and talent through to finance and regulation. Brexit is a supply side shock and, depending on how policies are managed at a national level, its effects could be felt positively or negatively on individual businesses, nationally and throughout the even more complex global system. One of the reasons our clients feel overwhelmed by this is that it seems impossible to separate the disruptive effects on their organisation with the wider (as yet unknown) effects. But putting focus on the smaller system of your organisation or industry where you are the experts can have major benefits at this stage. The best way to tackle complexity, in our experience, is to break it down into its constituent parts and their interdependencies before attempting to define solutions, so we advise starting there. When disruption strikes, looking for ways to exploit opportunities should go hand in hand with risk mitigation. Because the implications of Brexit will touch many parts of your organisation, as well as your supply chain, we would suggest the best way to be in a position to strike while the iron is hot when the opportunity arises is to put action plans in place now, and review them regularly as the situation evolves. To ensure your plans are as good as you can get them, and watertight, use collaborative processes both within your organisation and with your trusted extended enterprise. At a corporate level, you still have access to the specific knowledge and insights of your own organisation that with the right kind of design thinking will enable you to consider possible future scenarios, assess them and plan knowledgeably for them. Right now there is a lot of speculation on what might happen. There are those that hold out hope that Article 50 could be reversed, others that demand that the Brexit process is seen through no matter if it happens without a deal, and others still who think the negotiation period could be extended through to 2021 or beyond. Is the most likely outcome somewhere in the middle? Perhaps. What we know is that although there is uncertainty, there are only a limited number of broad possible outcomes. But whatever that outcome eventually is, your response to it will still require you to leverage the expertise within your own organisation. By establishing and addressing your fitness to respond now, and by using scenario planning to develop detailed responses to the scenarios you can envisage, your business will be in the best shape to respond when more is known. Traditional ways of doing this would consume a lot of FTE hours yes, but there are ways to effectively condense this work into short focused bursts, allowing you to accelerate your understanding and strategic planning whilst still staying focused on your day to day business and other initiatives. By bringing together the key stakeholders, leaders and decision-makers from across your business, having them rapidly explore and refine the scenarios of both the future and the transition to it, collaboratively, we can quickly help you define the key imperatives together and settle upon a course of action.